>> How to Choose the Best Electric Shaver? 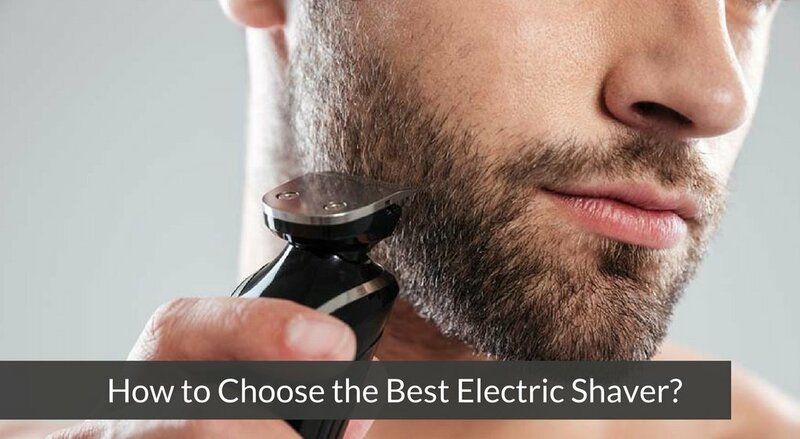 Whether you’ve choosing an electric shaver as a gift for a loved one, or buying yourself a replacement, your men’s electric shaver needs to have all the features you desire or you’ll be frustrated with the wrong choice. There are many brand manufacturers of men’s electric shavers, including Braun, Panasonic, Philips, and Wahl. Each have shavers in varying price ranges. It’s important to read a shaver’s features, and to never assume that a shaver does one thing or another. Here’s a guide to help you pick the best electric shaver so you won’t have to return one you don’t like. While most shavers are cordless and rechargeable, it’s still possible to buy other types of shavers. Braun still makes a model that runs on a cord or on the rechargeable battery. There are also shavers that run on only batteries. While that may seem wasteful, it may be your best option if you travel overseas a lot and don’t want to pack a bulky converter kit. You can always purchase a rechargeable battery pack too. Your next choice in men’s shavers are whether it’s waterproof, and can be used wet or dry. If you can use the shaver wet, can you use it with shaving gels, foams, soaps, and creams? Often it’s not recommended that you do so with certain types of shavers. But these shaving products can provide additional comfort when shaving. Some shavers also come with a cleaning station. These can be called different names depending on manufacturer: Jet Clean System, Clean & Charge, Clean & Dry, etc. A cleaning station can provide cleaning, lubricating, drying, and charging functions. Some do all, while some may not offer a drying ability. Again, read the product description carefully to avoid disappointment. Also note that cleaning stations can add considerable expense to the cost of your shaver, so you must decide if it’s worth saving time. Most shavers have a circular on/off button located on the front centre of the shaver. If you have any difficulties with your hands, you may opt for one that has a larger on/off button. Many shavers also have an LCD indicator panel. This may be above or below the button, or it could be right at the base of the shaver like in the Braun Series 7. Usually this will give you information such as battery level, and a low battery warning light. The best electric shavers may also have a travel lock indicator, a cleaning indicator, and a battery head replacement indicator. Generally, shavers with these additional features are going to cost a lot more than your simple shaver with only an on/off switch. Find out how long it takes to charge up your shaver for the next day. With the newer lithium ion batteries, often it takes only an hour or so. But there are still some shavers that take several hours to recharge. You may also be concerned about how long you can use your shaver after it has been fully charged up. Around forty to fifty minutes is a fairly good guide. This will give you enough for one to two weeks of shaving time, depending on how often you shave. And if your shaver does run out of power in the morning, is there a function for a five minute quick charge? This will give you enough power to complete your morning shave. But only the best electric shavers offer this feature, so you could be stuck in the morning if you have forgotten to charge it up. Another thing to research before buying a shaver is to find out how much replacement heads cost. Often they cost even more than the original shaver, so you might as well buy yourself a new shaver if yours wears out. Sometimes charging cords gets damaged too, so you want to know that a replacement is going to be affordable. Choose the Best Electric Shaver Today! If you have your priorities straight, the looks of a shaver should be last on your list of requirements. Some shavers come in grey, black, or blue plastic casings. Some have a high-shine chrome finish to them. Their accompanying clean and charge stations may or may not match. By now you should have a fairly good idea of what features you want to search for. Once you try your brand new shaver, you’ll look your very best for work and leisure!